Last Monday was Women in Agriculture Day in the Capitol. 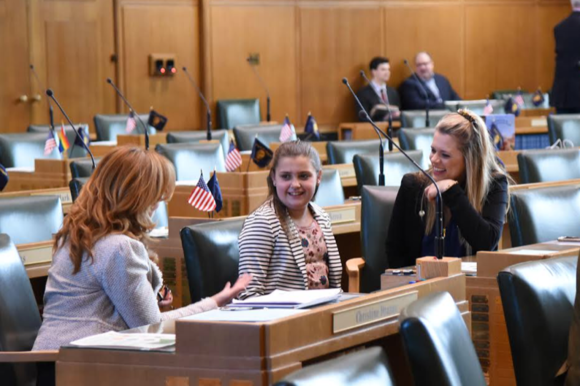 The Women’s Committee from Oregon Farm Bureau came and discussed with lawmakers the impact different legislation would have on their family farms and ranches. 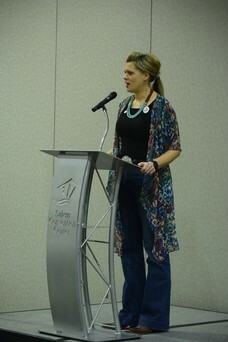 There are 22,772 women farmers and ranchers in Oregon, making up 39% of the farming community here in our great state. Tuesday was Trucking Day in the Capitol. Truckers, business owners, and representatives from the Oregon Trucking Association came to the Capitol to address the critical role trucking plays in driving Oregon’s economy forward. The transportation of goods to market, not only gets food to our table but also provides jobs to thousands of hardworking Oregonians. Many members of the trucking community are concerned about the potential impacts the proposed cap-and-trade program will have on the cost of moving goods. During last Thursday’s floor session, Representative Boshart Davis carried her first bill to the floor. When a member carries a bill to the floor, they are required to provide a summary of the bill and explain what the law does. 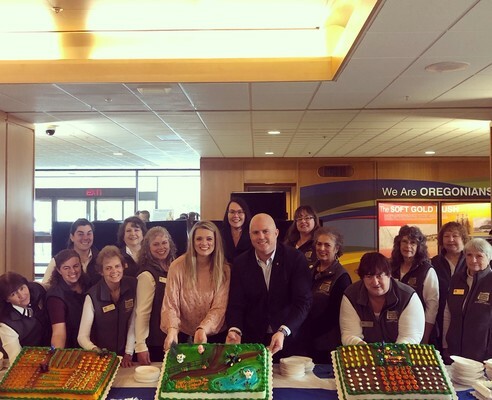 Representative Boshart Davis carried House Bill 2275, which is a simple fix to existing law that will clarify the scope of the Oregon Real Estate Agency’s role in licensing property managers. It was passed unanimously by the House of Representatives. Last Thursday, the long-anticipated cap-and-trade bill was unveiled to the public. HB 2020 has far-reaching regulations that will increase the cost of living for hard-working Oregonians. Middle-class Oregonian’s will see an increased cost at the pump, utilities, and groceries under the current version of this bill. As a member of the Joint Committee on Carbon Reduction—where this will spend most of its time—I will work endlessly to ensure the voices of House District 15 will be heard. To be clear, the drafters of the cap-and-trade bill are not looking for feel good legislation to pass. They are fundamentally wanting to change the way our society lives and works. To quote the bill, “…transition this state to an economic system that allows for the State of Oregon to achieve the greenhouse gas reduction goals…” This idea is essentially a timeline to deindustrialization with substantial job losses. Whether the majority party wants to call it a “tax” or not, let’s be clear: this will hit your pocket, your job, and your way of life. On a lighter note, I was thrilled to have my daughter join me on Thursday. The quote from Mark Twain comes to mind: “Don’t let schooling interfere with a good education.” I am hoping she learned a lot by joining me for a day of work at the State Capitol! If you would like to stay up to date on what’s going on in the Capitol, follow me on Facebook and Twitter, where I will continue to update as the session progresses. If you have any concerns about the impact of the cap-and-trade policy or any other policy, I encourage you to reach out to my legislative team and me through email.